Reservations for travel in 2020 made by September 27, 2019 may be confirmed with a reduced deposit of $500 per person. The $500 deposit is subject to additional payment being collected if Green Fees are fully payable and non-refundable at time of booking, e.g. Muirfield. The balance of the deposit, equal to 25% of the agreed land cost or a minimum of $1,500, (whichever is greater), will be due September 27, 2019. If cancellation occurs before the second deposit payment is collected, the initial $500 deposit will be credited to any trip taken in the following year. After September 27, 2019, normal booking conditions will require a non-refundable deposit equal to 25% of the agreed land cost or $1,500 whichever is greater. Ireland is an enchanting land of epic landscapes, idyllic scenery, medieval castles and elegant gardens that’s home to more than one-fourth of the world’s natural links golf courses. The Emerald Isle has produced master wordsmiths Yeats and Shaw as well as golfing legends McIlroy and Harrington. Test your skills on the challenging, beautiful links such as the Dunluce course at Royal Portrush in Northern Ireland, home of The 148th Open in 2019, to venerable Ballybunion on the southwest coast. Collections of classic links courses are available in four primary regions. Read More. Royal Portrush - Dunluce, host of The 148th Open in 2019, is consistently ranked in the top 20 in the world and the only course outside of Scotland and England to host The Open. Dotted with memorable shots throughout, the rugged fifth green hangs on the precipice of a cliff, inviting agony and ecstasy. At Royal County Down sand dunes more than 5,000 years old tower 60 feet over the plush fairways and greens. The links, designed by Old Tom Morris and Harry S. Colt, stretches along Dundrum Bay with the Mountains of Mourne in the backdrop. Portstewart - Strand, was host of the 2017 Irish Open won by Jon Rahm, and is a hidden gem according to native superstar Rory McIlroy. Castlerock - Mussenden is a hidden gem nestled between the railway and sea. Pirates and smugglers once roamed the Southeast coast of County Down and the course at Ardglass might pillage your confidence - but you likely won’t mind. Tour the museum in the Titanic Quarter in Belfast, a town of a half million people, where the infamous ship was built. Targeted due to its shipbuilding facilities, much of the city was destroyed during WWII. The Troubles, conflicts between the Catholics and the Protestants, took place in the 1960s and remain present through the often photographed ‘The Murals,’ popular art that played a conspicuous role in proclaiming the loyalties of Belfast’s conflicting communities. Donegall Square is the heart of town and most streets radiate outward. Portmarnock, founded in 1894, routinely ranks top 50 in the world and is known for diabolical pot bunkers that have challenged the game’s greats from every era - Vardon and Locke to Snead and Palmer, Langer and Seve to Mickelson and Duval. The architect Tom Simpson saw his work as art and he sketched an impeccable canvas at County Louth, a seaside links stretching over 190 acres of dunesland. Portmarnock Hotel & Golf Links presents outstanding views over Howth and the North Sea. The K Club - Ryder Cup Course is a Arnold Palmer designed parkland layout on the banks of the River Liffey where the Europeans whipped the United States in the 2006 Cup matches. South of Dublin, The European has thrilled the modern game’s elite players. Dublin is the country’s chief port and center of commercial and financial power. The city features a plethora of sightseeing options such as the Waterford Crystal Factory and St. Patrick’s Cathedral where the saint himself converted pagans in 450 AD. chief port, center of commercial and financial power. The National Gallery features more than 2,000 exhibits. Architecture in Dublin dates to the 18th century and a museum honors famous native authors Joyce, Yeats, Shaw. No trip to Dublin is complete without a pint of Guinness or a hearty bowl of Irish Stew accompanied by Boxty, the traditional Irish bread. Fly into Shannon and hit your first tee 90 minutes later at the Old Course at Lahinch where a strong caddie will come in handy. You’ll face a bevy of blind tee shots on this venerable layout, which has been touched by elite architects from each generation - Old Tom Morris, Dr. Alister Mackenzie and The Open’s noted course renovation specialist, Martin Hawtree. Trump Doonbeg, a Greg Norman design, not only offers panoramic views of the Atlantic Ocean and the Irish countryside from each tee, but also excellent accommodations. Ballybunion-Old was carved from the earth by Mother Nature, similar to Pebble Beach and St. Andrews. Tom Watson adores the layout that ranks top 20 in the world. Old Head demands precision amid the ever present winds whipping across the stunning clifftop links. Waterville, along the Ring of Kerry, opened in 1889 and sits on a short list of Ireland’s finest courses. Renovations by Tom Fazio enhanced Eddie Hackett’s masterpiece. Within County Kerry another popular destination is Dooks, a scintillating Hawtree design that delivers ocean views against a mountain backdrop on every hole. Tralee was Arnold Palmer’s first design in Ireland and delivers spectacular vistas. Farther south, Cork is yet another MacKenzie jewel certain to test skill and nerve. Away from the links, take in the town of Killarney, sitting in view of the mountains on the shores of Lough Leane; tour the Ilnacullin Gardens, an island of impeccable beauty; enjoy a drink at Durty Nellie’s, possibly Ireland’s oldest pub; stroll through the elegantly furnished rooms at Muckross House, the stately Victorian mansion located within Killarney National Park and later admire the colorful gardens sprinkled about the grounds there. Just outside of town is the beautiful Ross Castle, erected on the water’s edge in the 15th century and harboring spirits, perhaps. Take a scenic drive through the countryside, stroll through the sleepy rural towns and vibrant villages, wander through Sligo, Mayo and Donegal, enjoying this remote and serene corner of the country. If fortunate enough to visit Galway in late September don’t miss the internationally renowned oyster festival. Enjoy a bushel, and a peck. Dunguaire Castle, on the shores of the bay, was a popular meeting place for Irish literary figures such as Shaw, Yeats and Lady Gregory. PerryGolf is uniquely qualified to provide a range of unforgettable golf vacations to Ireland. We have defined the experience since the company was founded in 1984 by Scottish brothers Colin and Gordon Dalgleish. Our Custom Tours combine the personalized requirements for golf, lodging, sightseeing and local transportation into a seamless itinerary for groups of men, women and couples. They can be enjoyed as a self-drive tour or in the comfort and convenience of a PerryGolf VIP coach with a Concierge Driver who will handle every aspect of your trip. The Escorted Tours we operate are fully managed, fixed itineraries that feature equal parts golf and sightseeing for parties of as many as 30 golfers and non-golfers who enjoy the opportunity to travel in the company of like-minded new friends. Our annual Golf Cruise of the British Isles will visit Ireland along Scotland and England with attendance included to golf’s oldest major championship, The Open. Our 2020 Irish Golf Cruise sets sail from Dublin, spanning 12 nights in late August / early September and including five rounds of Ireland’s most respected links layouts. in 90 Seconds. Or Less. PerryGolf has delivered seamless customized trips to the world’s premier international golf destinations since 1984. We are uniquely qualified to arrange every aspect of your vacation including overseas air. Our Golf Travel Experts always welcome the opportunity to assist you personally but if your interest right now is more casual we invite you try QUICK QUOTES℠, a new way to use our exclusive online trip calculator. The selection below features several of our most popular custom trips. Each itinerary has been PRE-CONFIGURED needing only your GROUP SIZE and TRAVEL DATES to produce an instantaneous quotation. Dozens of additional itineraries featuring all eleven of our destinations may be found at See More. We are pleased here to feature our current collection of Golf Cruises and/or Escorted Tours for this destination. These vacations are designed for golf couples who enjoy combining experiences like luxury cruising and safaris to wine tasting and sightseeing with some of the best golf in the game. Schedules are offered throughout the year and around the world. The entire portfolio of more than two dozen itineraries is available for review at 2019 / 2020 / 2021 Tours & Cruises. 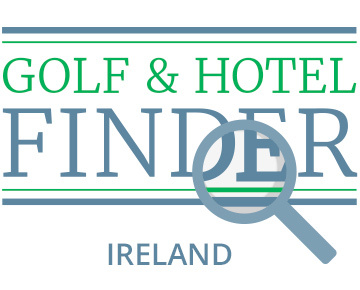 Our interactive Golf & Hotel Finder is a valuable research tool featuring dozens of the leading golf courses and hotels available in each region along with many “hidden gems” that might otherwise escape attention. Profiles are provided for each property whose location will appear on the map when the text links are activated. Our VIP Golf Coaches with Concierge Drivers add a luxurious measure of comfort and convenience to golf and sightseeing in the UK. Our Mercedes vehicles have been customized for groups of 8 with individual leather armchairs, tables, panoramic windows, an electronics package plus ample storage specifically configured for luggage and golf gear. Read More. Custom golf tours are available which you can price entirely online using our exclusive online trip calculator at QUICK QUOTES℠. Of course, we always welcome the opportunity to assist you personally at 800.344.5257 or Information@PerryGolf.com.